I haven't made any jewelry in a really long time. 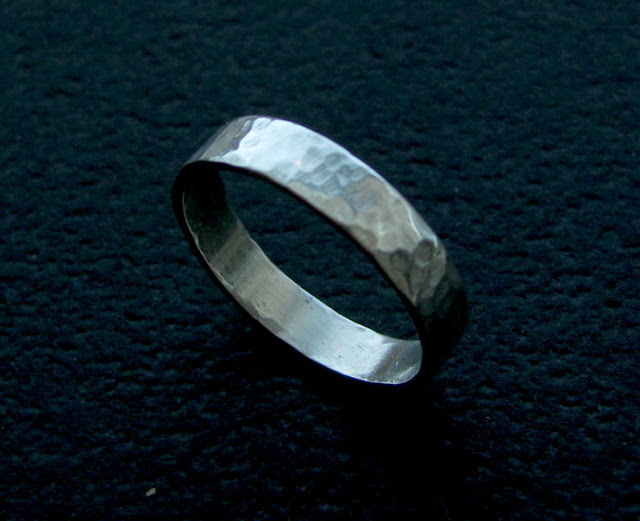 And in all of my years teaching jewelry and metals I've never made a ring. I was always going for the well planned design and rings just never seemed to fit into my creative realm.﻿ Don't get me wrong, I love rings! I guess I felt I would never be able to make one I liked because I really don't know how to cast well. 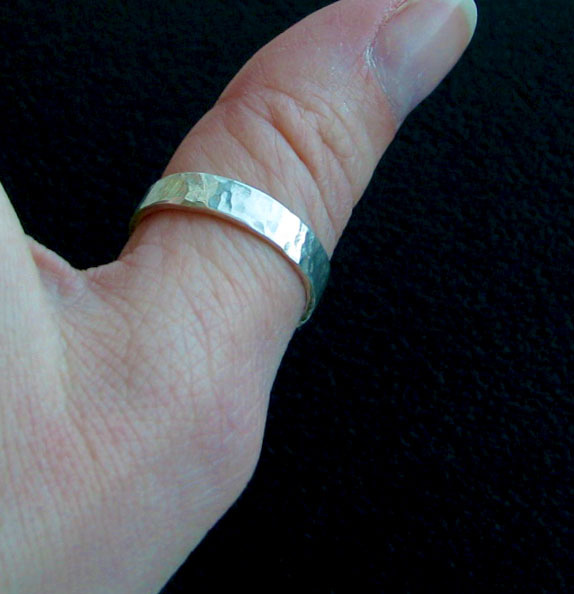 But this ring is made from a piece of flat silver wire and is incredibly simple to make. Any how, I thought I'd make an example for my students (again!) so they could learn how to solder a simple joint. The ring would be perfect practice for them. I decided to add a hammered texture to mine for a little more interest. The photos were hard to get right. I'm definitely no photographer. Or hand model for that matter, ugh! I wanted to show the texture of the ring close up but it's been so cloudy here the lighting was difficult to get right. It's also been incredibly cold. This morning was -9 degrees F! And don't get me started on the wind chill factor. thanks so much for your comment on my last blog post.. it meant a quite a lot.. it is scary to write about the not-so-pleasant-things, so thank you!!!!! Your ring is lovely! I love the texture too. And Laura I am having such a hard time finding the original high res version of the photo of the tree in the mist. So sorry! I'm sure it will turn up eventually! very nice ring! 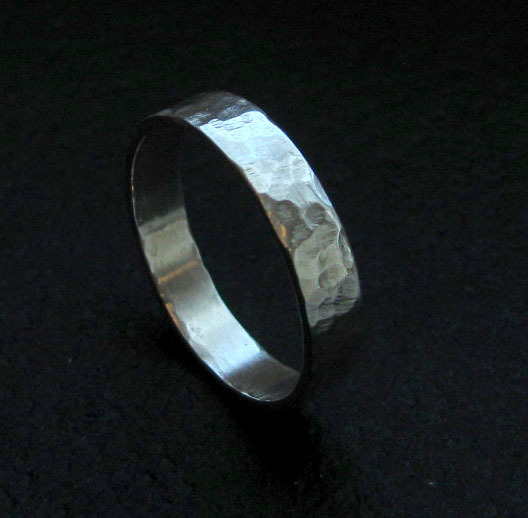 I've always thought that making silver jewelry would be fun. :-) Blessings to you! This ring can make men's charm. I might choose this ring! I have always crushed over simple and beautiful ring.! Very nice ring! If you want to check out on various information and guides about jewelries, visit the website http://www.jewelinfo4u.com/ Enjoy! in sterling silver jewelry, Visit: Fashion Trends in Sterling Silver Jewelry. This is a really useful list for me! Must admit that you are one of the best bloggers I have ever seen. Thanks for this posting about Druzy stone for sale. Discover unique collection of silver wedding bands for her. AN Jewelry Collection offers premium quality jewelry at best price. Looking for buy sterling silver rings, then shop now Silver Shine. Buy latest pearl hoop earrings online at best price on Mermaid Capsule.